Shannon Wall Centre Kerrisdale is a unique 10-acre property whose grounds and mansion have been designated a Vancouver heritage site. 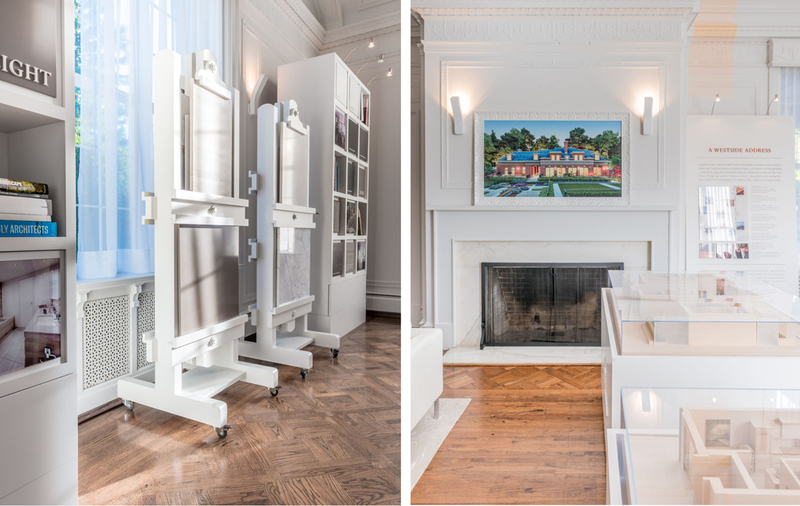 This last great family estate is a rare opportunity to live a luxury lifestyle in one of Vancouver’s best neighbourhoods. The mansion on the estate is a significant building in Vancouver’s history and its image became the focus of the brand. 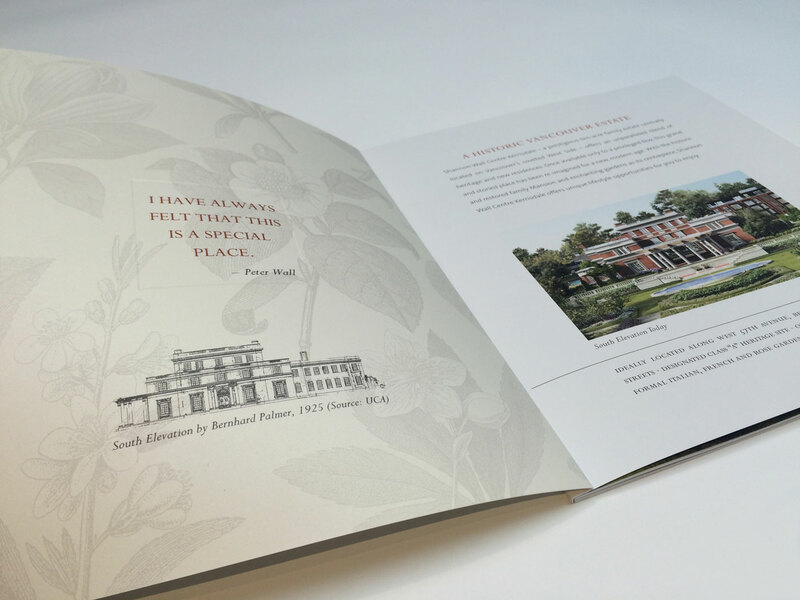 Wood-cut illustrations of plants from the original estate gardens create rich backgrounds for the brand materials. 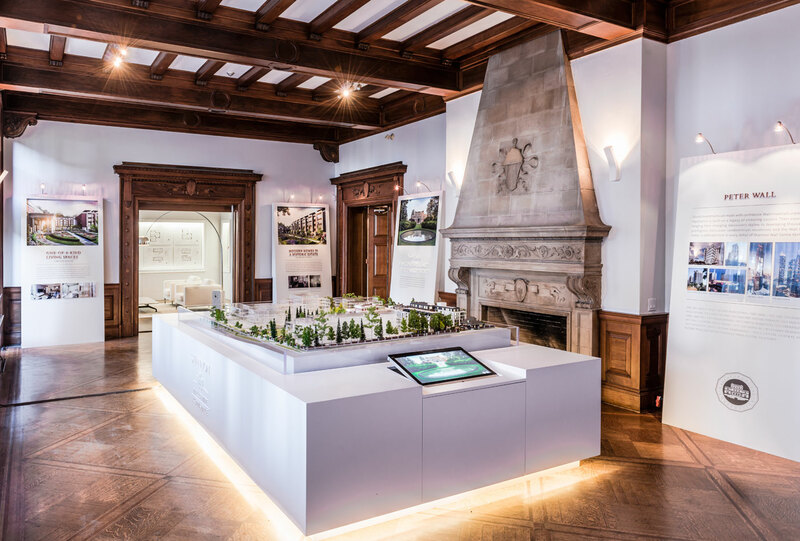 The original presentation centre was located in the historic mansion itself, creating unique challenges in terms of display form and installation but also creating a unique and inspiring space where the past and present come together.